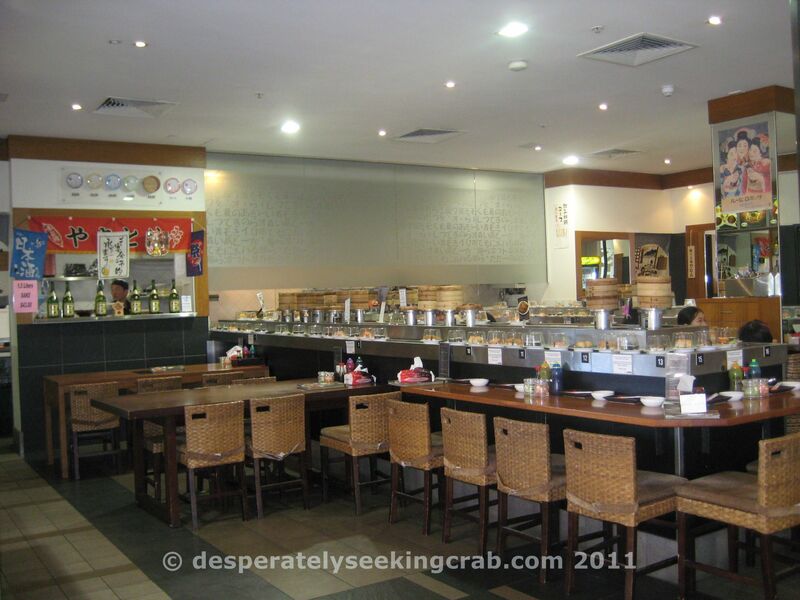 Last week when I was in Perth (which has so many Japanese restaurants), I noticed this intriguing restaurant. It served both dim sum AND sushi on a conveyor belt! I didn’t eat there but ate at another shop selling takeaway sushi next door yet couldn’t help but sneakily take this photo! Two of my most favorite foods! I’m still not sure if I like the idea (it’s sort of creative isn’t it?) or whether I think they’re a bit confused and should really stick to one idea and cuisine. If it’s any good, both dim sum and sushi require a lot of experience and skill to do right. I’m also not sure I like the hot steaming baskets too near my cold raw fish. Anyway, it’s called Edo Shiki and it was at the Forrest Chase Shopping Centre where the MYER is. Anyone eat there? Is it any good? Eating in seemed a bit pricey but their takeaway section with various bento-like options was really reasonable.